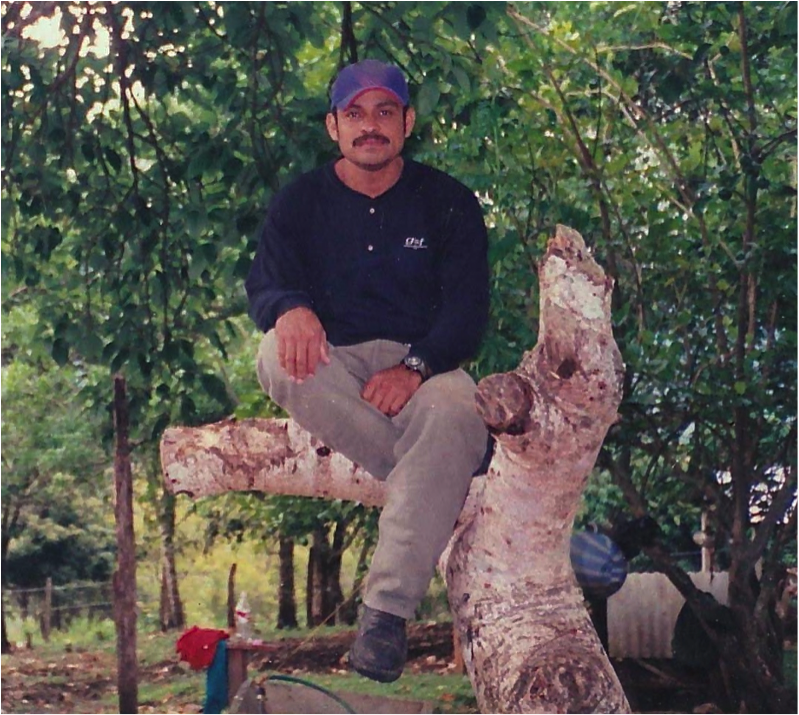 In detail, Galeano was viciously murdered by nearly 20 members of differing paramilitary organizations in La Realidad(‘The Reality’), a Zapatista Caracol located in the Lacandon Jungle of Chiapas, Mexico. Once dead, the attackers (who are not part of the Mexican military, nor government, but rather, who are paid under-the-table and given kickbacks for their attempts at fracturing Zapatista communities) drug his body nearly 100 yards, dropped it on the ground, and left it to lay openly exposed. It was at this point that several Zapatista women, widely recognized for their fearlessness, courage, and dignity, went out under the face of further threat to carry Galeano’s body back to shelter. 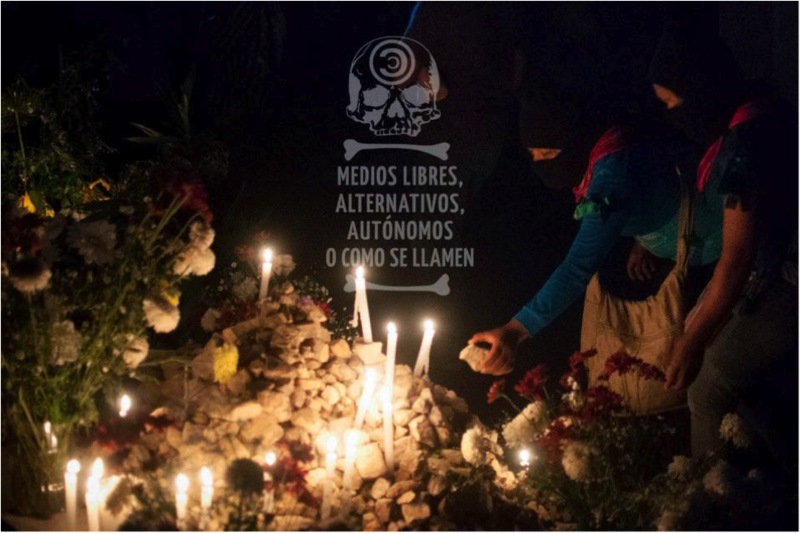 In addition to the murder of Galeano, the paramilitaries injured 15 other unarmed Indigenous Zapatistas, and set about destroying a local school, health clinic, and water system. The attack has been identified by peace observers from the Fray Bartolomé de las Casas Human Rights Center as a premeditated act of unprovoked aggression on the part of those men who carried out the assassination. Given the history of paramilitary activity in the region, as well as the account of a young Zapatista woman who was later verbally taunted, mocked, and bullied by the shooter, the slaying of Galeano can be seen as part of a larger strategy of low-intensity warfare that the federal, state, and local levels of the Mexican government (called the ‘Bad Government’ by the Zapatistas) are waging against the EZLN and its bases of support. The underlying motivations of Galeano’s death, the state sanctioned counterinsurgency, and the militarized surveillance of Indigenous Zapatista communities are complex and multifaceted. In this way, it is important to understand that his assassination was not the result of a single, isolated incident. Rather, Galeano’s murder is part of an ongoing story of over 500 years of imperial conquest, the racist denigration of Indigenous people, the repression of rural peasants, and exploitative processes of accumulation by dispossession. Such socio-political dynamics not only continue to operate within Mexico, but they also remain part of an alienating status quo that continues to operate around the entire globe. In our dream, children are children, and their work is to be children… I do not dream of the agrarian redistribution, of big mobilisations, of the fall of the government and elections, and the victory of a left-wing party, or whatever. I dream of the children, and I see them being children. …it is Indigenous teachers like Galeano who make such dreams come true. In turn, the impacts of his murder and the attack on the Zapatista community of La Realidad are not only being felt in the mountains of southeast Mexico, but they are also resonating across borders. This is because the killing of Galeano brings to the fore the underlying currents of colonial hostility, masculine dominance, and neoliberal victimization that serve as the foundation of so many peoples’ everyday lives throughout the world. The reverberations of Galeano’s death are also evident given the fact that during the last part of May, a time that sees the United States celebrate Memorial Day and Canada commemorate Victoria Day, thousands of Zapatistas, as well as their international sympathizers and supporters, traveled by caravan to a remote part of the Lacandon Jungle to memorialize a murdered community member. The gathering was a way of showing respect for Galeano – for his dignified work, his modest spirit, and the ultimate sacrifice he had to pay. It was also an offering of condolences to Zapatista communities and families, and it was a way to honour their beloved fallen teacher. In addition, the homage to Galeano also saw the enigmatic and clandestine persona of Subcomandante Marcos come to an end. In the middle of a dark misty night, in the heart of a shadowy moonlit jungle fog, Subcomandante Marcos delivered his final communiqué and noted that from this point on, he would cease to exist.